Dodge debuted yesterday their mildly restyled Durango which will see its first public outing at next week's New York Autoshow. A couple years ago, Dodge introduced the current Durango (shown to the right), based on the new Dakota, yet expanded to a size similar - though a bit smaller than the full-sized SUVs from Ford and GM. 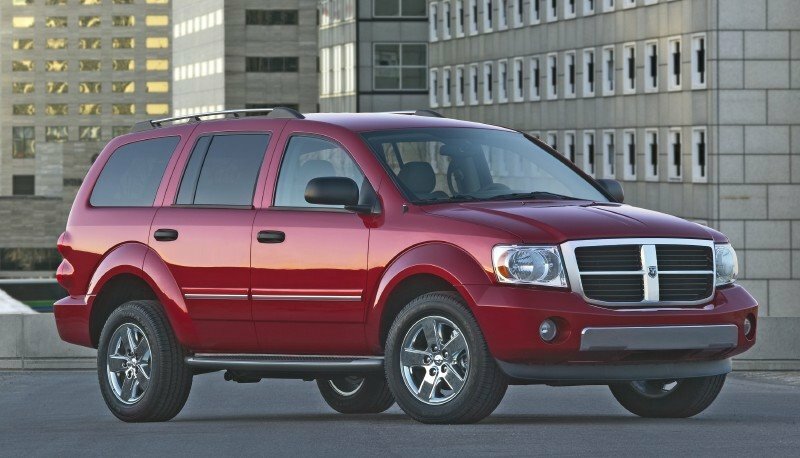 Unfortunately, the larger Durango ended up with some unfortunate styling quirks (like oddly shaped front dropped fenders and cross-eyed headlights). This freshening takes care of much of this by squaring off the front-end while maintaining a touch of the stepped down fender. This change also helps give the Durango a more elegant style and connects it with the new Nitro and Caliber. Other changes are focused on smoothing over the environmental impact of such a large SUV. Dodge is keeping the 3.7l V-6 for folks who don't need/want the trade-offs of a V-8 powertrain. The 4.6l V-8, the mid-level engine, is now fully E85 ethanol blend compatible. At the top of the powertrain foodchain is the 5.7l Hemi with Chrysler Group's cylinder deactivation technology (MDS - Multi-Displacement System). In addition, Dodge has announced that 2008 will see the 5.7l Hemi paired with a 2-mode hybrid drive system co-developed with the BMW group and General Motors. 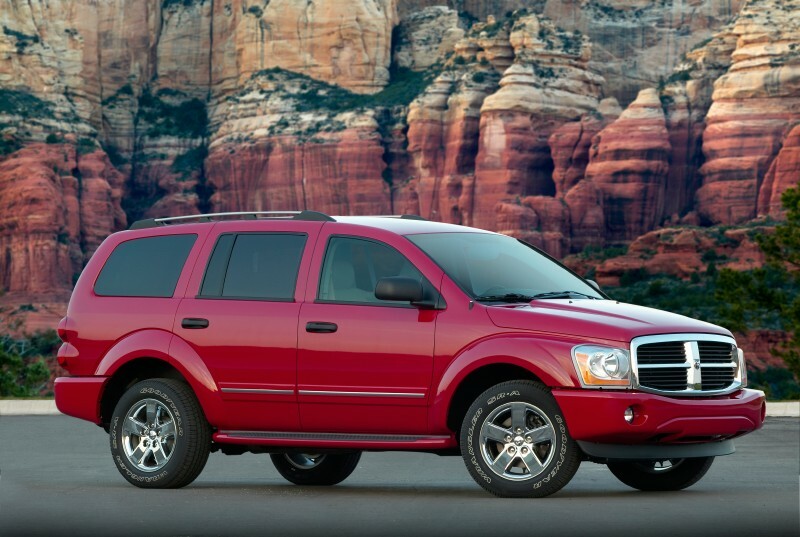 This is expected to provide a 25% economy improvement over the standard MDS equipped Hemi. We find it odd that Dodge won't be offering this hybrid system with a smaller engine to provide even greater economy (especially the 1-2 punch of offering it with the E85-friendly 4.6l V-8). Of course, since the hybrid system they will be offering places the electric motors in the transmission case and would not require much packaging consideration to expand its offering to the other engines - these changes could come quickly if the market demands. Improved economy and better looks? That should help Dodge move a few more of their big utes in an increasingly tight market.